This issue we take a first look at Qualcomm’s Snapdragon PCs which push battery life over performance. We also review the Dell XPS 13 (2017): a great laptop made even greater with Intel’s 8th-gen CPU. Watch: The Huawei Mate 10 Pro is the kind of flagship phone you’d expect from Samsung and Google, packed with premium features, and oozing power. While it will no doubt struggle to compete with the likes of the Galaxy Note 8 and Google Pixel 2 XL once it releases in the U.S. (mainly due to a lack of carrier support), Huawei has nonetheless proven that it’s worthy of its No. 2 position on the smartphone charts. 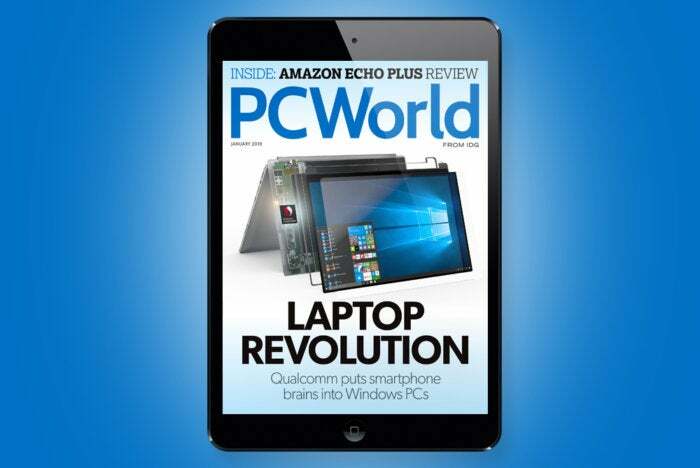 Current subscribers can visit PCWorld.com/directions to learn how to access PCWorld on any device and start reading the current issue right away. We're also excited to announce that we upgraded our system for customer service and downloading issues. A password needs to be created and attached to your account. Go to pcworld.com/customer to create a password for your subscription.